As Iran's vice president for the environment, Ebtekar is the country's first female vice president and effectively one of the highest-ranking women in the Islamic world today. She is also known to Americans as one of the spokespersons for the radicals who took over the U.S. Embassy in Tehran in 1979. Here, Ebtekar says that the decision to place Iran in the "axis of evil" was a strategic mistake and that Iran has always been a "partner for peace" in the region. Further, Ebtekar contends that there is a robust democratic system in place in Iran, with substantive debates in the press and in Parliament, but that work remains to be done and foreign interference hinders progress. Ebtekar was interviewed by correspondent Linden MacIntyre in February 2002. Mousavi is Iran's ambassador to Canada, and one of only two Iranian diplomats in North America. He is the only Iranian government official approached by FRONTLINE who would discuss terrorism. In this interview he says that Iran provides "moral support" for groups fighting for independence and against occupation, such as Hezbollah and Palestinian Islamic Jihad, but that Iran does not support terrorism. Mousavi was interviewed by correspondent Linden MacIntyre in February 2002. Raisdana, an economist, was part of a reform group whose members tried to run in parliamentary elections two years ago. All of them were rejected by the Council of Guardians, the powerful group of clerics and conservative jurists that determines whether candidates are fit to run for office. He has spent time in jail for questioning the legitimacy of Iran's political process, yet despite the arrests, he continues to agitate for reforms. Here, Raisdana says that Iran's Constitution precludes the possibility of real democracy in the Islamic Republic, and that the structure of the system has led to the economic and social ills that plague Iranian society. Nevertheless, he says that reformers like himself do not view American intervention in Iranian affairs kindly, and that U.S. President George W. Bush's decision to place Iran in the "axis of evil" may ultimately hurt the reform movement. Raisdana was interviewed by correspondent Linden MacIntyre in February 2002. Saanei is one of only 10 grand ayatollahs in Iran and one of the most revered and influential religious authorities in the holy city of Qom. 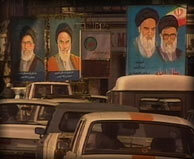 Prior to the revolution he was a protégé of Ayatollah Khomeini, who once described him as being like a son. He served on the first Council of Guardians after the revolution, and later as the Islamic Republic's chief prosecutor. Today he is a reformist who believes in greater freedom for the people of Iran and a more accountable democracy. He was interviewed through an interpreter at his home in Qom by correspondent Linden MacIntyre in February 2002. Baer was a CIA case officer in the Directorate of Operations from 1976 to 1997, where he served in several Middle Eastern countries, including Iraq and Lebanon. He is the author of See No Evil: The True Story of a Ground Soldier in the CIA's War on Terrorism (2002). Here, Baer says that there is evidence linking Iran to attacks on Americans, including the Khobar Towers bombing in Dhahran, Saudi Arabia, that killed 19 U.S. soldiers in 1996. He says that Iran has been mishandled by U.S. diplomats since the 1980s and that American foreign policy regarding the Islamic Republic is based on myths and misinformation. Baer was interviewed by FRONTLINE producer Neil Docherty on March 22, 2002. Frum, a former editor at The Wall Street Journal, was a speechwriter for U.S. President George W. Bush until February 2002. Though Frum has neither confirmed nor denied it, it is widely believed that he coined the term "axis of evil" for Bush's State of the Union address. Here, Frum discusses the president's speech, saying that Iran's inclusion was justified and that everything the president said about the Islamic Republic was "exactly true." Frum also says that Iran is now a "powder monkey" for the suicide bombers in the Israeli-Palestinian conflict, providing arms and other support and destabilizing the region, and that the president's problems with Iran amount to a Manichaean struggle between good and evil. Frum was interviewed by correspondent Linden MacIntyre on April 8, 2002. Mathews is president of the Carnegie Endowment for International Peace, a nonpartisan, nonprofit organization in Washington, D.C., that publishes the journal Foreign Policy. Mathews tells FRONTLINE why she thinks the "axis of evil" phrase was a "terrible mistake," and offers her views on what course U.S. policy toward Iran should take, emphasizing the importance of containing the spread of weapons of mass destruction. She was interviewed by FRONTLINE producer Neil Docherty on Feb. 21, 2002. Pickering served as U.S. undersecretary of state for political affairs from 1997 to 2001. He tells FRONTLINE that the United States has always left the door open for talks with Iran, and he emphasizes that the current administration appears to maintain that openness despite President Bush's inclusion of Iran in the "axis of evil." Pickering was interviewed by correspondent Linden MacIntyre on Feb. 21, 2002. Sciolino is a senior writer in the Washington bureau of The New York Times and the author of Persian Mirrors: The Elusive Face of Iran (2000). She has covered Iran since the revolution in 1979. Sciolino says that when President Bush placed Iran squarely in the "axis of evil," he played directly into the hands of the hard-line clerics in Iran. Iranians, she says, are a proud people who resent foreign powers that meddle in their country's internal affairs. What is happening now in Iran, Sciolino says, is a battle for the soul of a nation. She was interviewed by correspondent Linden MacIntyre on April 17, 2002. Woolsey was director of the CIA from 1993 to 1995. He believes that President Bush's use of the phrase "axis of evil" to describe the Iranian regime was appropriate. He compares Bush's statement to Ronald Reagan's speech calling the Soviet Union an "evil empire," claiming that Bush gave encouragement to the reformers in Iran. Woolsey was interviewed by FRONTLINE producer Neil Docherty on Feb. 23, 2002.